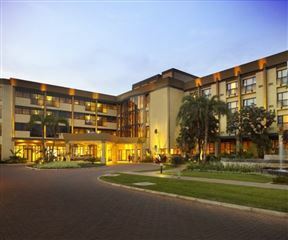 St Augustine Apart & Hotel is situated in Kigali in Rwanda. 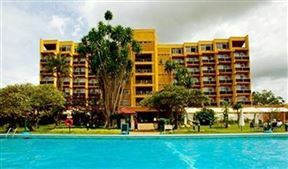 It is 15 minutes from the Kigali Airport and is set next to the business centre. Kigali Serena Hotel is a located in one of Kigali’s charming Boulevards, built around a polished granite atrium, which showcases the very best of Rwandese cultural art. The large hotel offers luxurious modern accommodation ideal for couples, families, business travellers and VIPs. Ideally located at the top of Kacyiru Hill, in the middle of a very spacious and beautiful garden, Umubano Hotel is a five minute drive from Kigali International Airport and from the city centre. Lemigo Hotel brings a refreshingly unique experience to Rwanda; conveniently located in Kimihurura-Rugando it is just 10 minutes’ drive from Kigali International Airport. Relaxation reigns here amid a serene landscape. 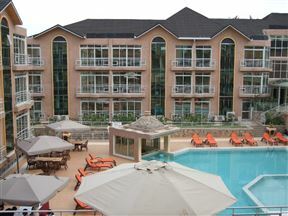 Golf Hills Residence is located in Rwanda, the land that offer a thousand hills and many beautiful tourist attractions. The most popular attraction is the Volcanoes Mountains, home of the famous Silverback Gorilla. 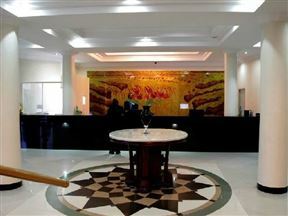 Garr Hotel is located in the green leafy suburb of Kigali. The hotel offers a serene environment aimed at business and holiday people. 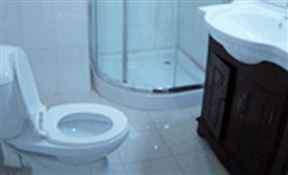 There are a wide variety of rooms available to guests with all the modern luxuries. 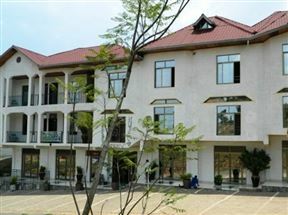 The Manor Hotel is a 4 Star hotel located in the upmarket neighbourhood of Nyarutarama, Kigali. If you are looking for a place to relax, pamper yourself and enjoy great food, there is no better place in Rwanda than the Manor Hotel. DV Appart Hotel a lovely hotel located in the new and clean neighbourhood of Kibagaba Nyarutarama in Kigali. The hotel offers lovely views of Nyarutarama, the golf club, Gacururio Hills, and the Kinyinya Hills, making this an ideal place to relax and enjoy your stay. 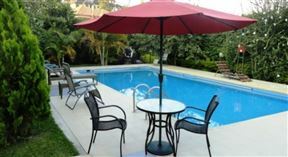 From the international airport it is a convenient ten minute drive to the hotel. Situated in the bustling city of Kigali, Beauséjour Hotel offers corporate- and leisure guests a comfortable and affordable stay while visiting this part of Rwanda. 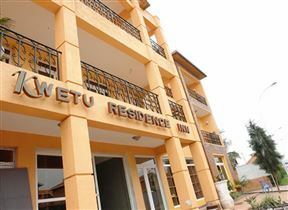 The Kwetu Residence Inn is another addition to the mushrooming growth of the Rwandan capital, yet we stand as am individual amongst a wave of new developments, as our identity, service and facilities are unmistakable.